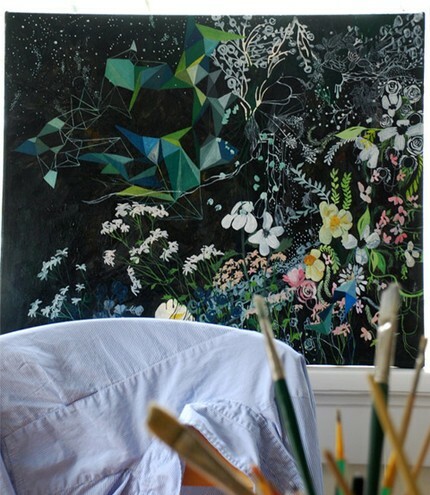 Loving Michelle’s new Secret Garden painting. Perfect for spring. The flowers kinda remind me of this invitation (below) by Anna Melcon Bond. Proves my point (an argument I was having with myself) that bright flowers are beautiful on a dark background. I’m going outside to take some spring photos now that the sun has come out and it’s warmed up a little bit. wow – that painting is gorgeous!